Twenty years ago I read the seminal work on Nazi Germany: The Rise and Fall of the Third Reich by William Shirer. 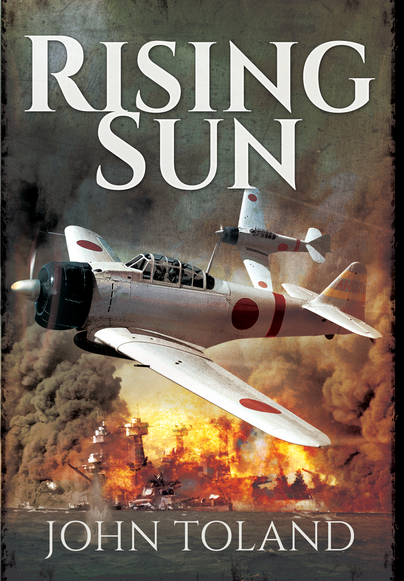 I am glad I can now cross Rising Sun by John Toland off of my book-bucket list. Rising Sun is every bit as authoritative and detailed as Shirer's work and I consider it the Pacific companion to Shirer's earlier work. In fact, I think that the lineage between the two books is quite clear and I am almost certain that John Toland was inspired by William Shirer's book. The Pacific Theatre holds a particular fascination for me. Despite the number of books and documentaries I have read and viewed, I found Toland's book to be the most well-explained and detailed analysis of the pre-war period I have experienced to-date. I must admit to struggling with the sheer volume of names and political shenanigans but in all, I learnt more from this one book than I did from nearly all of the others I have read combined. To the typical European* audience, the Normandy Landings of June 1944 are rightly reserved for our greatest remembrance of bravery and sacrifice. The European D-Day claimed approximately 4,000 casualties. 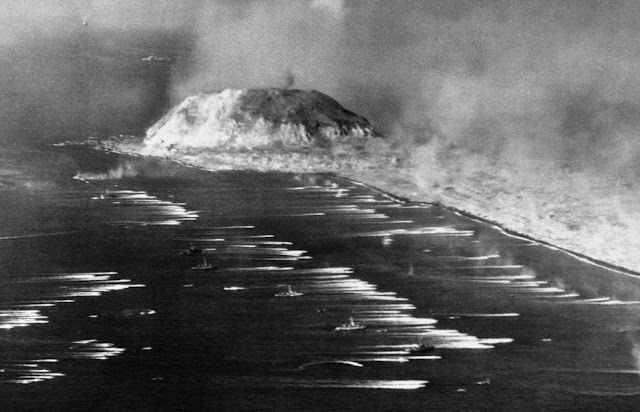 In contrast, the Pacific Theatre records 126 separate D-Days, none at the scale of Normandy, but all told causing American losses of over 50,000 troops. The sheer lunacy and bravery, in equal measure, shown by those amphibious troops beggars belief of the modern-day observer. I know I'm definitely not made of the same stuff. In reading this book I feel I have attended The University of the Pacific Theatre, although I would probably graduate with a measly third or two-two at best. I feel wholly unqualified to review this Pulitzer-winning magnum-opus. The sheer quantity of information, especially Japanese names, left me stumped on a few occasions ("Who was he again?") but I got more comfortable with it and was fairly fluent in my Togo's and my Tojo's (very different people) by the 600th page, or 2/3rds of the way through this half-a-tree book. I was continually amazed at the sheer volume of research that must have gone into this book. Incongruously, there were several jarring sentences regarding soldier's genitalia which, aside from feeling out of place (it happened on several occasions), made me wonder 'how on Earth did he find that out?'. 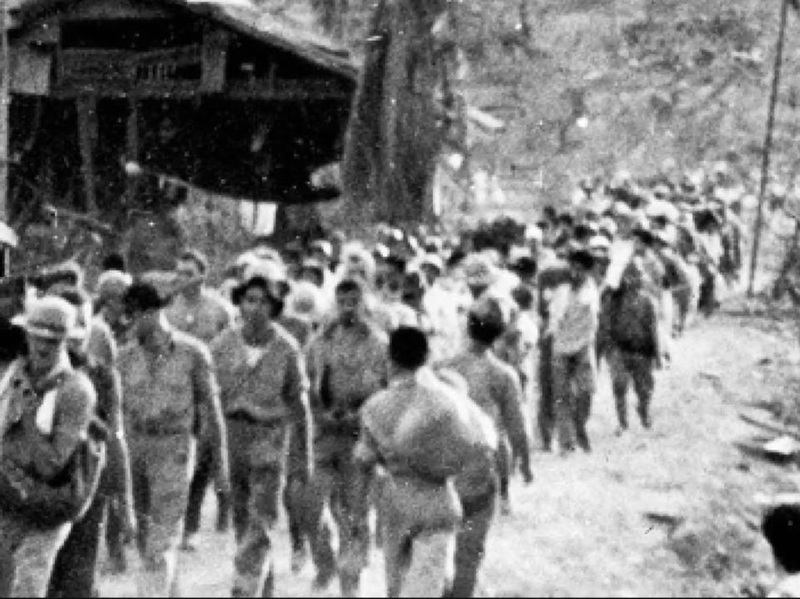 In most books about the Pacific Theatre, the behaviour of Japanese soldiers is often held up as barbaric and our Allied 'heroes' are paragons of virtue. As Winston Churchill himself wrote, 'History is written by the victors' and this book does an excellent job of not just recalling those well-known crimes, but explaining and humanising them without excusing them. 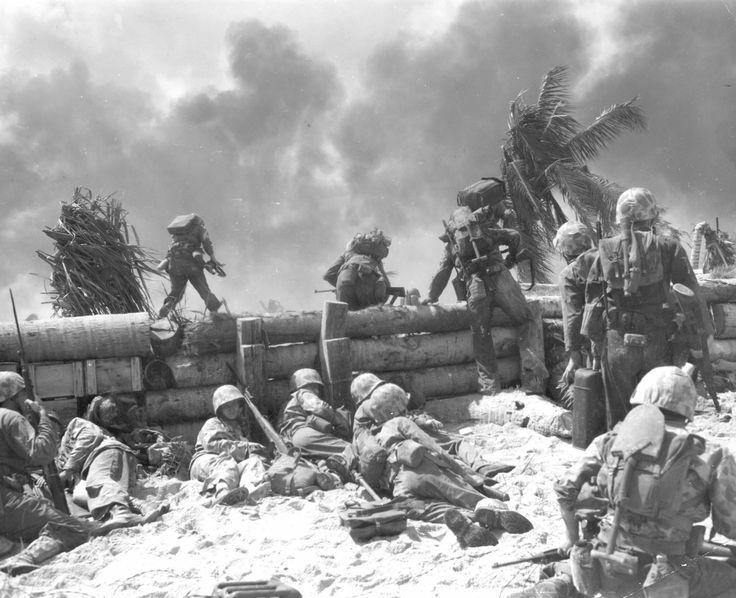 It also counterbalances that with some appalling accounts of actions of US forces which are not often mentioned in accounts of the Pacific Theatre. I found the book to be very well balanced, some may find it has gone too far and is more sympathetic to the Japanese forces than they deserve credit; it came as no surprise to find out that the Author has a Japanese wife. Still, for me, it was fair and it introduced the concept to me that the war in the Pacific Theatre was long precipitated by the colonisation and subjugation of South Asian and East Asian countries by Allied powers. It certainly did come across that the inexorable decline into war, opposed (mostly) on both sides, was almost inevitable. During the war, many Asian nations, sought self-rule and viewed Tojo (the Japanese Prime Minister) as a figurehead of Asian power and a model of how to fight against their 'masters'. 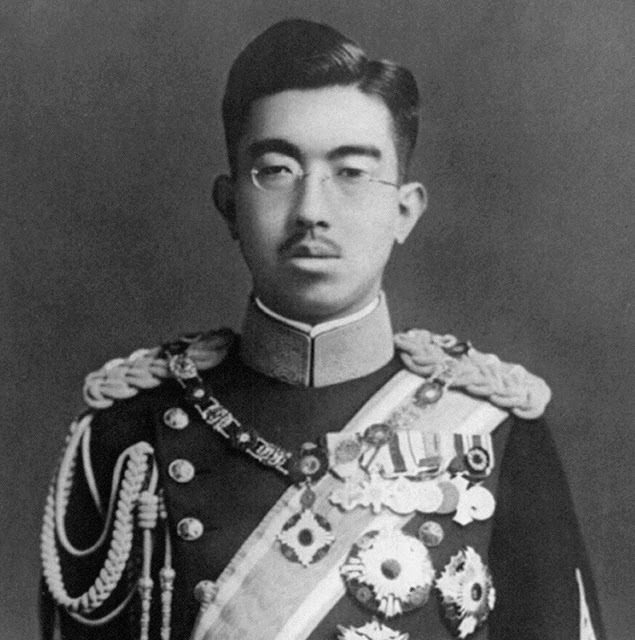 There did appear to be several senior Japanese politicians and military men so averse to give Hirohito, the Emperor, any bad news that the war continued in vain. Toland makes it quite clear that the Emperor attempted many times to extricate his country from a War Japan knew it couldn't win even before it started. The author covers everything about the war in the Pacific in great detail, from before the beginning (it wasn't Pearl Harbour...!) to the very definition of the bitter end and it was enlightening the entire way through. 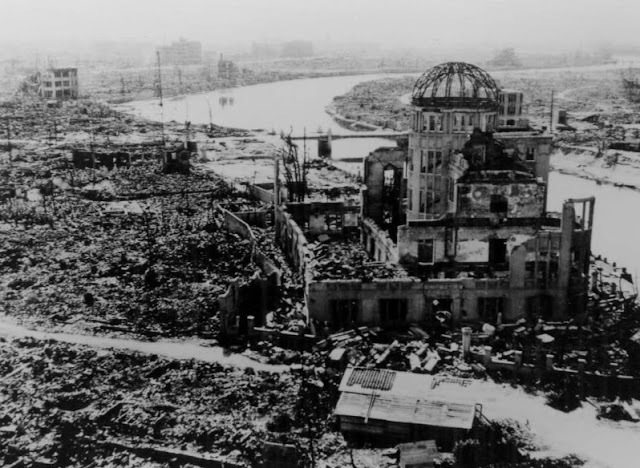 Rising Sun, first published in 1970 has several disturbing parallels today which we, as the western world, need to re-learn from our own history. The author made me question whether my own prejudices, as fair as I think they are, are justified. I can recommend this book it to everyone, unfortunately, it's only going to appeal to a very small niche of society, although it has probably found a much wider audience in American and Japanese markets - I'm glad I've been in that audience. Really interesting, I was looking for a book that make a totalizing view of the pacific war. Good recomendation. I hope you enjoy it. Maybe enjoy is not the right word but it certainly considers the the totality of the Pacific Theatre. If there is an omission; the terrible treatment of Allied POWs, by the Japanese, is barely mentioned.